Australia is known as the lucky country, and for good reason, for those of us who live here, we really are blessed with an amazing gift. Sure, there’s things that aren’t how we wish them to be, but for the most part we’re blessed with AMAZING Australian nature and wildlife, a great laid back culture, great healthcare, great education and the opportunity to live our dreams if we really want them enough. I’m not going to get into arguments about what may be lacking in the areas of health care and education, and you wouldn’t either if you really took time out to compare our standard of living to many countries in the world! With that being said, I often wonder if our country is so amazing, why is it that so many people I know have travelled overseas yet never visited Kakadu, Uluru, The Kimberley’s or any of the other amazing destinations we have right on our doorstep? There are people risking their lives for the chance to live in our country, and yet so many Aussies tend to flit off overseas for their family holidays. What happened to the great Australian family holiday? The one where you take a family road trip and explore what our rich red soil has to offer? 1. You’ll discover just how little you know about Australia and you’ll learn heaps! In the days when the furthest I’d ventured from home was 4-5 hours, I honestly thought I knew what Australia was about. Oh boy how wrong was I! Venturing into different states and regions of Australia is sometimes comparable with exploring a new country! There is a vast divide between what life is like in Cities or coastal regions vs life in remote communities and outback towns. There’s even a huge difference between our Capital Cities. People speak a little differently, have different stories, and different issues, yet we’re all uniquely Aussie and that connects us all. 2. You’ll support local industry and help keep people in jobs. Australia has faired reasonably well in in respect to the Global Financial Crisis, but that doesn’t mean that some industries haven’t suffered. Our healthy economy means that it’s become cheaper for Aussies to travel overseas and more expensive for people to visit us from abroad, that makes for a tourism industry that’s feeling the pinch. 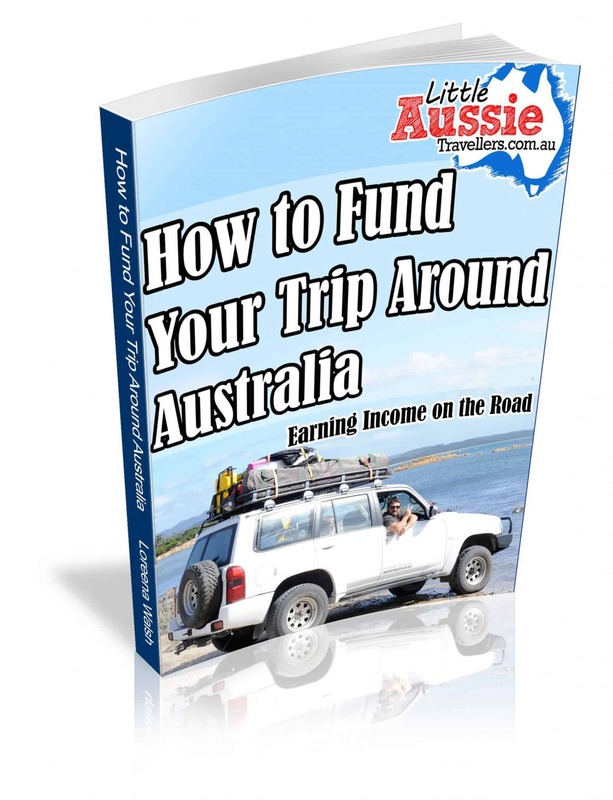 If you can’t afford to stay in 5 star hotels, there’s plenty of ways to make travelling around Australia affordable, by camping, or choosing family cabins, caravans or even camper trailers you can spread your money further than otherwise possible. Every little town you visit on the way, every small business you support will be oh so grateful! 3. You’re children will be inspired! This is especially true if you’re living in a large suburban area or city. Heck we live in regional Australia and our kids are still blown away each time they explore a new corner of our country. Children are inquisitive by nature, they love to discover and explore and there’s lots of opportunity to do that on the road. Not only will they learn so much about the country that’s nurturing them, they’ll learn about other cultures too. You’ll meet lots of people travelling from a wide range of countries on the road, and it’s great to listen to their stories and lifestyles back in their homeland. 4. Bridge the Gap! Theres no excuse not to visit friends in distant places if you’re travelling Australia on your own schedule. Take the opportunity to do numerous road stops on the way, discover all the great towns and landmarks and treat yourself to visits with people you don’t get to see often. Staying with friends and family can save you money too. 5. REALLY get to know your Family! Not only will travelling give you a chance to reconnect with those you’ve been missing, but it’s also one of the best opportunities to get to know your own family. In our busy schedules it’s easy to pretend we’re spending time together, but more often than not it’s just fleeting moments of chit chat. Living on top of one another brings about amazing opportunities to not only get to know your children, it also allows you to learn and explore together creating memories that will last a lifetime and help shape your children for the future. While I absolutely understand the desire to travel overseas, I truly feel that people often push aside exploring their own country simply because it is there, and they feel it will always be there. Life truly is too short to not see Australia, and I can’t recommend enough hitting the road with your children, no matter their age to open your hearts and minds together to forge memories that are unforgettable! So true. Our last holiday was to Tasmania and the one before that took in Victoria, Adelaide, Coober Pedy, Uluru, the devils marbles, Mt ISA and then all the little towns through Queensland! We had a great time and saw some amazing sights!! The quality time with children is the best! As well as supporting our local businesses.